Living a Fit and Full Life: Play it Forward with Sneaky Cards & Stack up the Cats with Cat Stax! Play it Forward with Sneaky Cards & Stack up the Cats with Cat Stax! Ceaco got their start in 1987 and have remained true to their mission: To create high quality, innovative and challenging jigsaw puzzles and to provide hours of family fun. Ceaco prides themselves on developing and maintaining long standing relationships with some of the finest artists of our time. 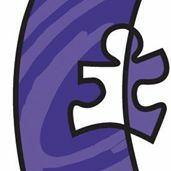 Their talented team of designers and marketing professionals are always searching the world over for developing trends, emerging artwork, and new technologies involving printing, die cutting and unique puzzle materials. Ceaco's purpose is clear: to continue to be in the forefront of our industry and create a product that combines family entertainment with a distinctive aesthetic. Brainwright is a division of Ceaco, Inc.
Brainteasers, mind benders and other tantalizing puzzles for curious minds. Gamewright was founded in 1994 by four parents whose kids wanted great games. From the start, their mission has remained clear: Create the highest quality family games with outstanding play-value. Guided by themes and experiences that transcend age and salted with a bit of irreverence, their games are designed to foster laughter, learning, friendship and fun. Your mission, should you choose to accept it: become a secret agent of joy, spreading art and intrigue to an unsuspecting public. Inside this box is an interactive scavenger hunt that inspires creativity and rewards audacity: Take a selfie with a stranger, give an anonymous gift, become a flash mob of one. Cat Stax by Brainwright is a hoot! 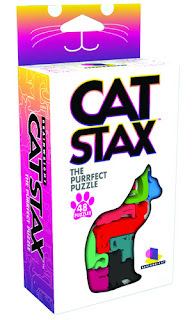 I've always loved puzzles as do my kiddos so when we got Cat Stax we dove right in. You simply select a challenge and then arrange all of the cats on the card so that they fit perfectly within the grid. There's 48 puzzles so there's sure to be endless hours of fun. My eight year old absolutely loves this game for one because it's a puzzle but she also loves the little cats. It's perfect for both puzzle and cat lovers! Sneaky Cards by Gamewright is an absolute blast. Not only do you get to spread joy but you get to have fun playing a game. Whether you take a selfie with a stranger, give an anonymous gift, become a flash mob of one you'll have an absolute blast doing it. After you complete your card you pass it off to an unwitting accomplice, who now becomes part of the game. Passing it off to someone else is the best part of the game and I love that it helps you Play it forward! 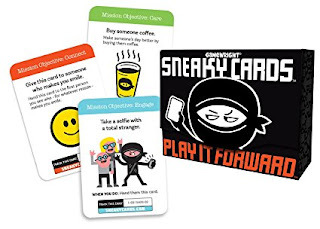 Both Cat Stax and Sneaky Cards are wonderful games and would make a terrific addition to any game collection! Click HERE to find a store near you that sells Ceaco Products! Click HERE to learn more about Ceaco! Follow Ceaco on social media! Click HERE to learn more about Brainwright! Follow Brainwright on social media! Click HERE to learn more about Gamewright! Follow Gamewright on social media!